Do you want to convert YouTube videos to FLAC audios? If you are looking for the solution, you have come to the right place. This article will show you the best and easiest method to convert YouTube to FLAC, including how to download online YouTube videos and convert them to FLAC at one go, and how to convert downloaded YouTube MP4/FLV/WebM/3GP videos to FLAC. Yes, all you need is a YouTube to FLAC downloader and converter. Free download online YouTube videos (movies, music videos, etc.) and convert to FLAC audio format at one go; Free download 8K/4K/1080p/720p videos, MP3 songs/playlists from YouTube and 600+ sites. Convert already downloaded YouTube videos in FLV, MP4, WebM or 3GP to FLAC at ease. Besides, you can also convert YouTube to other audio file format, such as YouTube to AAC, MP3, AC3, ALAC, WMA, WAV, OFF, AIFF and so on. Freely convert almost all videos like MKV, HEVC, AVCHD, AVI, MOV, etc. Convert audio format. Convert DVD to MP4 and more. Record screen. Record video from webcam. For Windows only. If you are a mobile user, please click here. How to Download and Convert YouTube to FLAC? Before we convert YouTube to FLAC, we should download the YouTube to FLAC converter namely - VideoProc, and get it installed on PC/Mac . Then follow the guide below to download and convert YouTube to FLAC. Here is a quick start guide to download online YouTube videos and then convert to FLAC without a break. Step 1. Launch this converter, click "Downloader" and "Add Video". In this step, you should copy the YouTube URL of the YouTube video/MV you desire to download and convert to FLAC, then paste it into the text box and analyze the video information. After a while, you should choose an output plan. To get a high-quality output, you'd better choose the one with high resolution. VideoProc allows you to batch download videos. You can follow the same instruction to add several YouTube videos. Then specify output folder by clicking "Browse" button, and click "Download" to download YouTube videos to computer. Step 2. Choose FLAC as your output profile. "Video" button on the main UI, then click "+Video" to load the downloaded YouTube video. To convert YouTube to FLAC, you should choose FLAC (lossless audio) as the output under category "Music". Step 3. Locate a destination folder to store converted FLAC audio file. Just click "Browse" to select a folder from your computer, your USB stick, or your portable device. Step 4. Hit RUN to begin downloading and converting YouTube video to FLAC at one go. 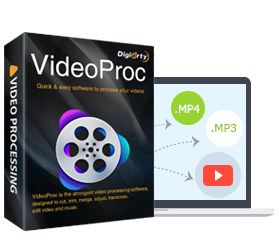 The strongest one-stop video processing tool to download, edit, convert and resize 4K UHD videos captured by iPhone, GoPro, DJI, etc at fully accelerated speed. Also can rip DVDs and download horror movies/music/playlist. This article shows you a perfect way to free download baby lullaby songs on YouTube – the most popular video-sharing center with a wealth of lullaby baby bedtime music. This article focuses on discussing if it is legal or illegal to download videos from YouTube and how to download YouTube videos legally. Follow this WAV to MP3 tutorial to change the audio format from WAV to MP3 on Windows 10 easily and speedily. Part 2How to Download and Convert YouTube to FLAC?